The 1989-1997 civil war in Bougainville left as many as 20,000 dead. The fate and whereabouts of many more remain unknown. This causes anguish and uncertainty for families and friends who are often unable to grieve. Under international humanitarian law, families have the right to be informed of the fate of missing relatives. Governments, military authorities and armed groups have an obligation to provide answers. The Australian based owner of the Gold Ridge gold mine in Solomons Islands, St Barbara, has confirmed the sale of the mine to the Solomons government is being completed. The company would not disclose the terms of the transfer, saying negotiations are still underway but it says it would not play any further part in the operation of the mine. The mine has not operated since early April after flooding put it out of action. Earlier this month, the company laid off hundreds of local workers. AUSTRALIAN miner BHP came under heavy fire in Parliament yesterday with legislators describing the PNG Sustainable Development Program as only a clever ploy. The legislators are claiming the mining giant came up with the program to escape prosecution for massive environmental damage from Ok Tedi mining operations. 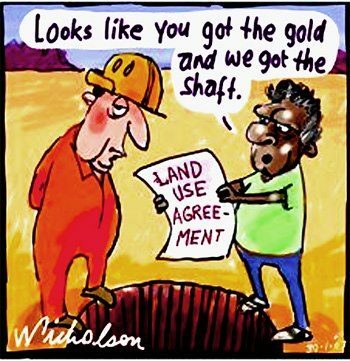 In 2011, the Government of Prime Minister Sir Mekere Morauta, who is now chairman of PNGSDP, passed a legislation that allowed BHP to exit the mine, with a blanket immunity that protected the company from prosecution for the environmental damage. The running of the mine was handed to program company PNGSDP, a company registered in Singapore with majority board members nominated by BHP. The debate, on a statement to Parliament by Prime Minister Peter O’Neill yesterday, was fiery and at times emotional, with calls for Sir Mekere and his appointees to the board to step down voluntarily. The call by the legislators was unanimous – bring BHP to account and return the PNGSDP and the Long Term Fund to the people of Western province and PNG. Former Attorney General Kerenga Kua opened the assault on BHP by calling on the PM to fight the global mining giant, and ensure the fund set up and controlled by third parties be returned to the independent state of PNG. “The setting up of PNGSDP and the long term fund is typical of global multinational corporations around the world, setting up complicated structures to escape responsibilities for damages they do to the environment and the lives of people,” Mr Kua said. “The real issue was the massive damage done to the environment by its mining activity, and the potential massive liability they faced. Mr Kua said BHP and PNGSDP do not need to be compensated. What the government has started, in removing BHP’s immunity from prosecution, and the legal battle against PNGSDP is part of a process to undo a clever and complicated structure. “The Prime Minister and government have my support to get to the bottom of this, and to return to the State what it deserves,” he said. Public Service Minister Sir Puka Temu, who was a member of the Eminent Persons Group that negotiated without success with Sir Mekere’s board, told Parliament in one of those meetings he almost leaned over to punch Sir Mekere. “We were genuine and we made concessions to PNGSDP. But Sir Mekere and his group were not. I don’t know who they represent. “We should have struck a deal in February, but we did not. The people of Western province are still waiting to benefit from what is rightfully theirs. I call on Sir Mekere to step down voluntarily,” Sir Puka said. He said PNGSDP must be handed back so it can be restructured and run in a way that delivers the aspirations of the people of Western province and PNG. NCD governor Powes Parkop said the government must do all it can to return the assets to the people of Western province. 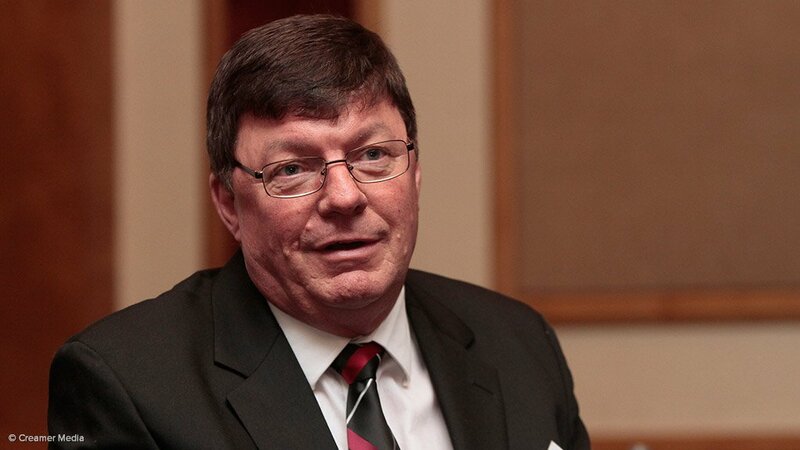 Part of gold miner Harmony Gold’s strategy between 2015 and 2020 is to grow the value of its Papua New Guinea assets by completing studies at its Golpu project and building the Golpu mine, despite negative analyst forecasts, CEO Graham Briggs has said. Speaking at the fourth-quarter results presen-tation, held in Johannesburg earlier this month, Briggs highlighted that a conceptual study report on four high-grade, sublevel cave start-up mine options had been completed and progressed to a prefeasibility study (PFS). While the Golpu resource definition drilling programme was now complete for the 2014 financial year, scalable mine options of between 2.5-million tons a year and 5-million tons a year were selected for progression to PFS level. Briggs noted that this would be completed when the gated process had been finalised towards the end of this calendar year. Harmony Gold’s new targeted outcomes from the Golpu study under way are to look at a modular expandable plant solution, a lower total capital cost using sublevel caving, as opposed to block caving to extract the high grade, as well as a scalable start-up mine and infrastructure development that is flexible enough to allow for expansion. The Golpu project, located in Morobe province, which is jointly owned by Harmony Gold and gold miner Newcrest Mining, is a large and scalable resource of high-grade, low-cost copper. There have been no changes to the reserves of Golpu since the PFS was completed in 2012. Changes to the resources are as a result of additional drilling and a more robust geological model. On a 100% basis, Golpu continues to host high-grade, quality reserves of 450-million tons, containing 12.4-million ounces of gold and 5.4 million tons of copper. Golpu will require less capital to start up and has the potential for a long life that will be flexible and adaptable in multiple price cycles. Harmony Gold is also derisking Golpu’s development through its project development experi-ence, operational base and support services in Papua New Guinea, as well as the orebody’s high- grade zones. Briggs noted that, although there were a number of sceptics, Golpu was intended as a mine that could be mined at a much higher grade when commodity prices were lower and easily expandable if copper and gold prices increased. “We believe this asset will add value to our asset portfolio and be a really sustainable mine going forward,” he concluded. THE Autonomous Bougainville Government’s Mining Department and its partners have been working tirelessly for seven years to develop a policy framework for a long term mining law to meet Bougainville’s special needs. Last week international experts and their Bougainville counterparts conducted a workshop attended by ABG cabinet members and senior Bougainville public services officers. The purpose of the workshop was to brief these leaders and senior officers on the long-term and detailed draft act and regulations which would give effect to ABG’s previous decisions on the mining policy to become a best-practice law. Bougainville is the only place in the world where a local rebellion over mining issues has forced the shut-down of a very large mine of 25 years. These international experts have been in Bougainville and working closely with the Bougainville team on the draft act and regulation and together they have agreed on many improvements which have been agreed upon to by cabinet. The experts’ team leader, Jeremy Weate and senior expert Professor James Otto, have assured cabinet that they will make agreed changes to the draft act and regulations with the final draft to be delivered to ABG in early November this year. Acting President Patrick Nisira and Mining Minister Michael Oni both expressed satisfaction on the rapid progress made in preparing Bougainville’s long-term mining law. They said policy work began in 2007 where many stakeholders were invited to attend workshops and air views as it was ABG’s aim that this new law should address Bougainville’s special needs and should adopt world’s best practice. 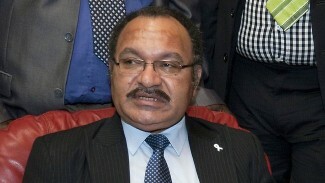 PRIME Minister Peter O’Neill has branded as misleading statements regarding the change of ownership of Ok Tedi Mining Ltd and compensation for the impacted communities in Western. That includes statements on the setting up of the PNG Sustainable Development Program (PNGSDP). He presented to Parliament yesterday the report of the Eminent Persons Group set up by the National Executive Council to mediate and facilitate an agreement between the State, PNGSDP, BHP Billiton and Ok Tedi. O’Neill said the EPG comprised former Prime Minister Sir Rabbie Namaliu, former Lae MP Bart Philemon and Minister for Public Service Sir Puka Temu. They recommended to the State and PNGSDP that they immediately sign a heads of agreement which set out very clear commitments and actions agreed by the parties. “Despite the efforts and recommendations of the EPG, the PNGSDP board rejected the recommendations,” he said. “In noting and anticipating this, the EPG recommended that the State has demonstrated very clearly its genuine efforts, and therefore should undertake direct negotiations with BHP Billiton, with or without PNGSDP. “The NEC, in considering the EPG report on March 5, 2014, decided that any efforts in further discussions with Sir Mekere (Morauta) and PNGSDP will be unproductive as PNGSDP has no intention to reach agreement with the State.” O’Neill said this was not the first time PNGSDP and Sir Mekere “reneged on agreements they have reached with the State”. “Sir Mekere and I reached the agreement, confirmed by us shaking hands in Majuro, Marshall Islands, in early September 2013 on the sides of the Pacific Forum meeting,” he said. THE Fly River in Western “is gone” as a result of the massive damage to the environment caused by mining over the years, according to Environment and Conservation Minister John Pundari. He told Parliament yesterday that there was no point in putting up a tailing dam (to withhold the waste) now because the damage to the river by the Ok Tedi Mining Limited “cannot be undone”. “What difference will it make when we have the damage already? The Fly River system is gone. The livelihood of our people, if any, is gone,” he said. “We’ve lost it. If we have to build a dam today, just to tell the world and show the world, and tell ourselves that we are doing the right thing for ourselves, and for our future generations, I don’t know what the tailings dam will do. He was contributing to the debate on the Eminent Persons Group report tabled by Prime Minister Peter O’Neill. The group was set up by the National Executive Council to mediate and facilitate an agreement between the State, PNGSDP, BHP Billiton and OTML after differences over the impact of mining on the communities in Western. “It will take 50 to 100 years for natural occurrences to help rehabilitate it (Fly River). That is a long time,” Pundari said. 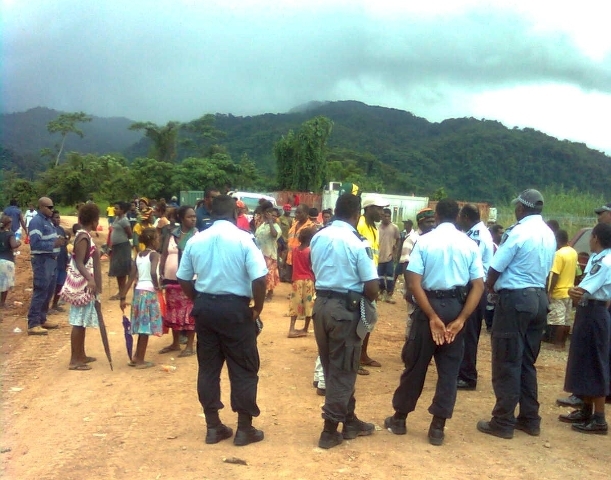 North Fly MP Boka Kondra said the people had suffered greatly because of the Ok Tedi mining operation. In a lengthy and emotional address, he told of the plight of his people, who had silently been suffering from various ailments as a direct result of mine pollution on Fly River. “People are dying, mothers are dying, children are dying, with not much benefits (from the mine),” Kondra said. Sumkar MP Ken Fairweather said it was ironic for the Government to continue operating the Ok Tedi mine after the huge damage to the Fly River by previous operator BHP Billiton.